2414 Eagle Ct #2414, Birmingham, AL.| MLS# 831960 | Richard Jacks UABLIVING.com 205-910-2297 | Birmingham AL Real Estate | Contact us to request more information about our Homes for Sale in the Birmingham AL area. WONDERFUL CONDO IN WINDHOVER!!!! Charm and convenience! Spacious and cozy living area with a brick, wood-burning fireplace. Central HVAC plus each bedroom has its very own bathroom and and a new split-system for heating & cooling in each bedroom too--just installed in spring of 2017 (approx 7k upgrade!). Perfect roommate set-up! Breakfast bar in the kitchen and a small dining nook too. Oven, microwave and dishwasher to remain! (Washer and dryer to remain with a reasonable offer too!) Tons of storage space--closets even in the garage! So unusual for condos! You can cook in the bbq area, enjoy the beautiful nature trails, play tennis, go swimming, or have nice quality time with friends in the clubhouse. 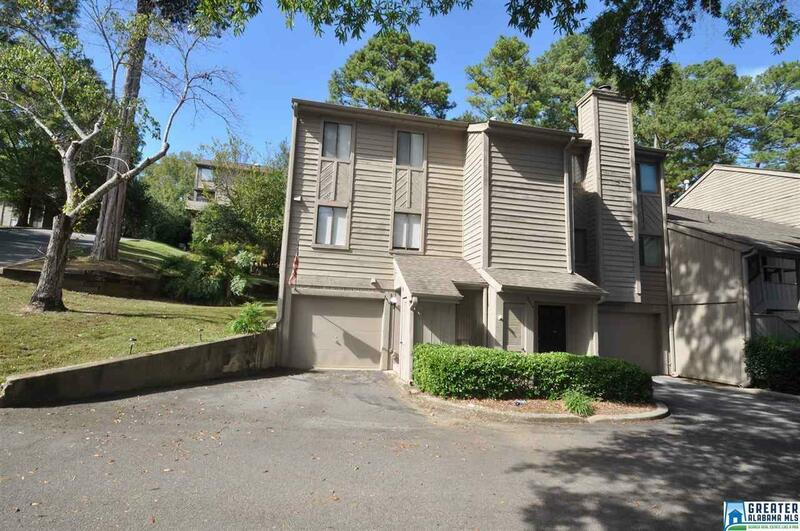 This place is super convenient to I-65, I-459, schools, restaurants, and shopping. Condo has transferrable security system! Best HOA-covers yard work, gutters, dumpsters, yearly termite bond, common areas, roof repairs, cameras for security entrance & more! Driving Directions: From Acton Road At Aaa, Turn Left Onto Old Rocky Ridge Road. Go About 2 Miles; Windhover Will Be On The Left In A Big Curve.